Celebrating three decades in the salon industry, Sandra Vaillancourt continues to augment her already stellar base of achievements. Sandra, the founder of cassandra salon and spa, has brought a unique spa experience to thousands of her devoted clients. Sandra established her first salon in 1980 as Cassandra 2000, a mere 1500 square feet of innovation and desire as her creative talent, business savvy and standards of excellence enabled the salon to grow steadily; the salon was renamed Cassandra the Appearance Domain. With a staff of 40, Sandra Vaillancourt led her team to attain many local distinctions, including such awards as “Best of the Best Salon” for the past six years, along with “Best Employer of the Year” presented by NHRA. Cassandra is among New England’s leading salons for exceptional hair color – in fact, it is the region’s largest Goldwell color salon. By creating a world-class salon in Nashua, Sandra developed a clientele that stretches from New Jersey to Maine. Along the way, her salon has also earned significant national recognition. Cassandra is the first Intercoiffure salon in the state of New Hampshire. Intercoiffure is an association of premier salons globally, a membership that is reserved for only the finest salons. She has represented Intercoiffure in America as well as overseas, sharing her hairdressing vision with an elite corps of salon leaders that are considered the industry’s pacesetters. 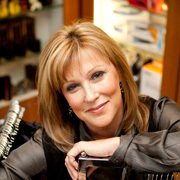 Before embarking on her own business, Sandra was artistic director for a large chain of salons in the Boston area. She also performed as a platform artist for major manufacturers such as Paul Mitchell, L’Oreal and Nexxus, following extensive training with Vidal Sassoon, Jean Louis David and Toni & Guy.